At Recovery Africa, we have many goals and projects in the works, but we cannot bring them into fruition without your support. 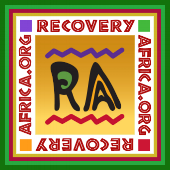 Recovery Africa currently does not receive any grant funding. We rely only on individual donations. Please donate today. Every dollar counts! Click the yellow donate button below! The 2017 Recovery Walk had 250 participants, including Dr. Al Mooney and five other Americans. The event was held in Ashaiman near the House of St. Francis. We consider it to be the most useful walk to date because of the enthusiastic participation of people in recovery, their families and residents of Ashaiman. The post walk events were effective carrying the messages of recovery! Hopeful Way Recovery Center – Converted into a residential rehab to be registered as WellCare Ghana Recovery Center, run by Byron Merriweather. WellCare began taking in clients in October 2017, including one from Liberia and one from Sierra Leone. Two professionals (Byron Merriweather and Edwin Ahadzie) participated in two weeks of COLOMBO training. Oxford House Chapter – establish an organization which provides services to an increasing number of Oxford Houses. Prisons – build on Recovery Africa's long-standing relationship with the Ghana Prisons Service to support recovery programs for staff and inmates, and assist Ghana Juveniles’ Correction Facility establish and implement recovery program. Recovery Coaches- introduce the concept and assist Recovery Ghana Consortium administer a program. Employee Assistance Program (EAP) – Together with the American Chamber of Commerce in Ghana, the Nigeria EAP Association and others continue to examine possibilities of introducing EAPS. Respond to other Initiatives – Based on interest and the availability of resources, assist in building a Recovery Movement.